With 465 participants from 25 countries, ACMEE 2016 is poised to be the best market place for machine tools and manufacturing technologies. 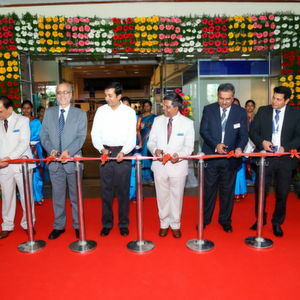 ACMEE 2016, the 12th International Machine Tools Exhibition, the biggest exhibition on machine tools will be jointly organized by Ambattur Industrial Estate Manufacturer’s Association (AIEMA) and National Small Industries Corporation (NSIC) at the Chennai Trade Centre in Chennai during June 16–20, 2016. The biannual event has been witnessing a manufacturing revolution spurred by the expansion of the domestic market and huge investments in infrastructure. With the new emphasis on ‘Make in India’, India is fast emerging as a global manufacturing powerhouse. ‘Make in India’ is a major national program designed to facilitate investment, foster innovation, enhance skill development, protect intellectual property and build best-in-class manufacturing infrastructure. India’s manufacturing infrastructure is poised for phenomenal growth: new smart cities and industrial clusters, being developed in identified industrial corridors having connectivity, new youth-focused programs and institutions dedicated to develop specialized skills. ACMEE 2016 will showcase various machines tools and technologies such as CNC, special purpose machines, industrial robotics and automation, material handling equipment, welding, hydraulic and pneumatic systems, tools, dies and moulds, fabrication, etc. A number of product launches and technologies dedicated towards improving productivity, cost reduction and energy saving for the Indian market is also slated to be launched at this show. Concurrent with the show, the organizers of this exhibition, Ambattur Industrial Estate Manufacturers Association, a premier industry association of the country is also undertaking numerous technical sessions and live demonstrations in order to make the event a successful one. For all those looking for the latest news in machine tools, improving productivity, cost reduction and energy saving solutions, ACMEE 2016 becomes a show worth visiting. Event preview Asian Machine Tool Exhibition 2018 ready to roll!